Someone posted in a Facebook group I belong to that they were having a lot of trouble finishing things and asked if anyone else dealt with that. I wrote up a response and someone suggested I make it a blog post, which seemed like a good idea, so here it is, slightly edited for clarity. 1. Transcendence involved a ton of design work before even starting it. I made a bajillion designs using the colors and narrowed it down to two. Which I waffled between for ages until I finally chose this one because I had enough fabric on hand to make it. Yay, pragmatism! 2. I need to do something hard/new and I’m scared to try it. Generally once I recognize that’s what’s going on, I’ve learned to force my way through it. But before I got better at facing my fears, I’d overcome this one by taking the project to a retreat or a sew day or some other sort of thing where there were other people who could help and motivate me through it. 2. Phoenix was really hard for me to even START because of all those curves and the on-point construction and the colors kinda terrified me. Then there was an issue during the design phase that included an element that would have made it a lot harder to construct and I couldn’t decide what to do. In the end I eliminated that element. 3. I’m bored with it. Sometimes I’ve learned what I’ve needed to learn on a project and I don’t need to continue it. If I’m not learning something, I’ll get bored pretty quickly. I had a lot of starts and stops initially until I realized that FOR ME, following someone else’s patterns was boring (no value judgment here for people following patterns, it just doesn’t work for me!) I also don’t seem to do well with repeated blocks. Once I started doing my own designs I finished WAY more quilts. But sometimes it turns out that I just wanted to see if colors worked well together. Or I wanted to try a piecing technique. Or something else that really doesn’t require finishing an entire quilt. And that’s okay. Make it a mini, or donate it and move on. No need to keep that stuff around. 3. 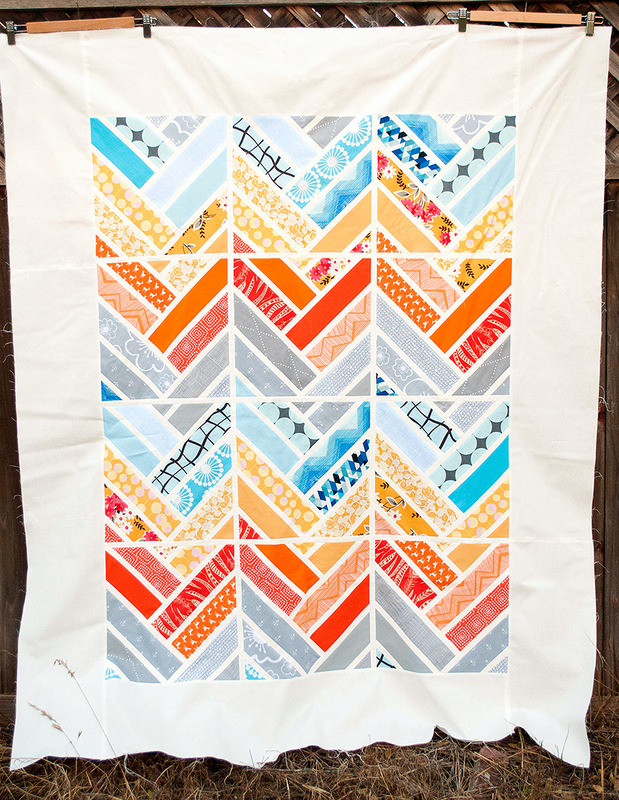 This quilt top was basically experimenting with color placement and how the zig zags would look using this block. Once the top was done I saw how it worked and I was done with the experiment and never felt the need to finish it. I eventually donated it to someone else to turn into a charity quilt. 4. City Lights originally had quilting that was so tragic I cried over it. I picked out the few places that were awful technically, and then added much more dense quilting and it transformed it into a quilt I really love. But it took me a month before I could face it to do so. It can be frustrating to not finish stuff, but try to figure out why and don’t beat yourself up over it. Your brain is trying to tell you something, and it doesn’t mean that there’s something wrong with you! 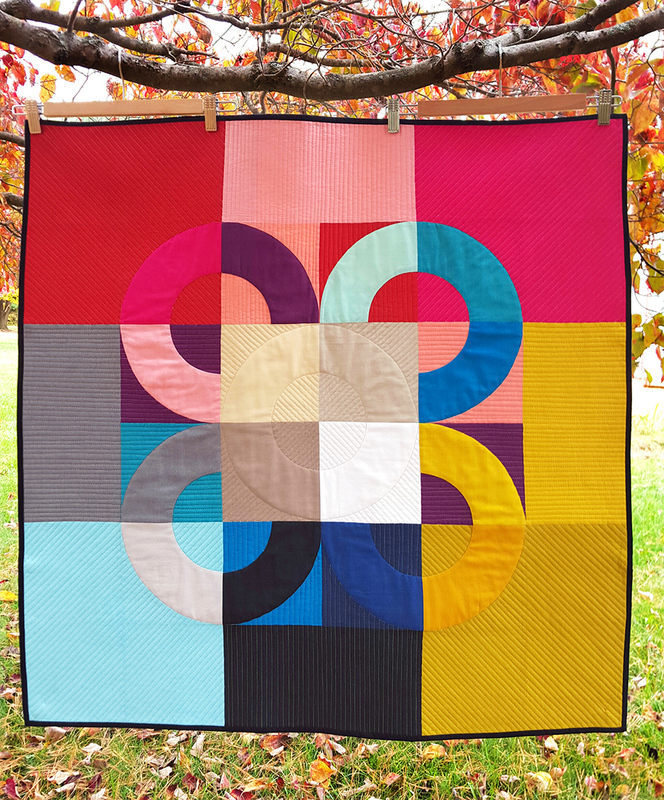 So how about you, what stops you from finishing your quilts? 5. I do not like a technique that is new for me and rather than suffer through it, I stop working on the quilt. For me, anything that has to be precise is suffocating. I am getting better at analyzing and realizing early on how much precision is required and though I admire such quilts, I don’t make them. 6. It’s not an ugly stage, it’s an ugly quilt. Or my taste in fabric or design has changed since beginning it. If just my taste has changed I can donate it to my guild for a charity quilt or yard sale. If it is truly ugly, I have read about taking a rotary cutter to such things and cutting them up with abandon and then reassembling the pieces in a different way. I did this with a small quilt and it was much better, but not worth taking the time to finish, at least not yet. 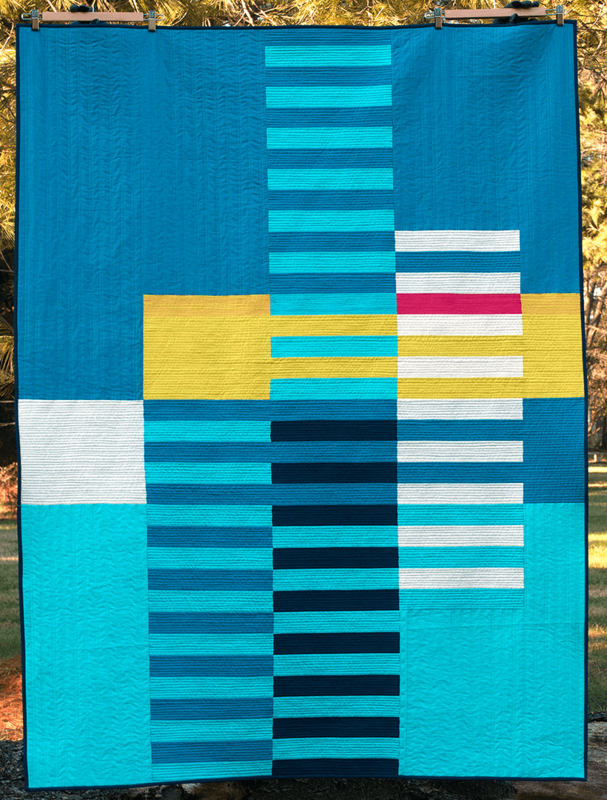 I, too, like to design my own quilts. One of the things I’ve learned about projects that “hit a wall” is that I may not have the skills to complete the project the way I envisioned. Case in point: I started a children’s quilt years ago that had squares set between octagons. I just couldn’t get them to lie flat, so it wound up wadded up in the bottom of one container or another. Years later, I was digging through things and found it. After pressing out all the rumples, I realized what I needed to do to accomplish my idea. After that, it went together rather quickly. Now that is has aged a while longer, maybe I can get it quilted and donated???? It is hard to learn when “it is good enough” and when to pursue perfection. Sometimes “good enough” gets the job done. Oooh yes, that whole “I have this thing in mind but I don’t know how to get from where I’m at to the thing I have in mind” is a toughie! That’s awesome that you were able to go back and finish your quilt, I hope you have a chance to quilt and donate it soon! I love this post, as of course like everyone, I’ve experienced the challenge of finishing projects. What I LOVE about what you’ve shared is I’ve never thought to stop for a second and reflect on why I’m not finishing a particular project. I’m excited to try this, I think it will help with breaking through the wall and getting it finished! Ha, #3 gets me a lot of the time! I’m also not a pattern follower, I’d rather do my own things, but even then I have to watch that I don’t get clobbered by what I call the “solved problem” fallacy – I get to a point where I can see how the rest of the project will pan out and I… stop. The “problem” is “solved” in my mind and I get distracted by the *next* problem! So if it’s something I really want to finish, I have to push myself on to not only solve that “problem” but actually finish the project too. It helps a lot if there’s a deadline involved! OMG YES that!! I love problem solving (that’s why I’m in computer science after all) and once I feel like “okay I’ve got this” it can get tragically boring. Of course, the other end of the spectrum gets me, too. 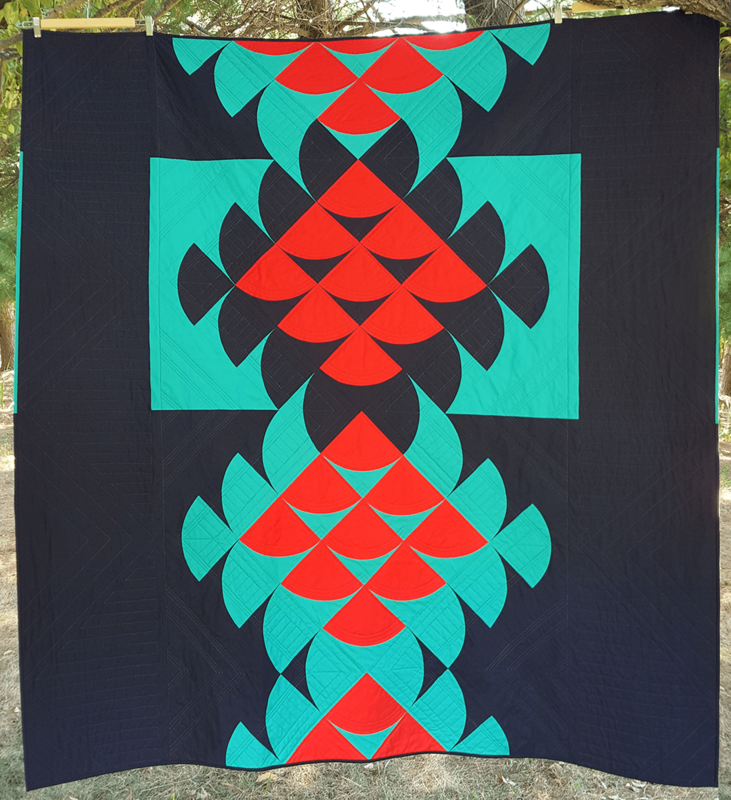 With quilting designs I don’t have enough experience/knowledge to be able to figure out WHY I don’t like the way it’s going and I end up getting frustrated and wanting to quit. Without deadlines I’d seriously never get anything done. Sounds like great advice! For me, I find that when one of my projects is “misbehaving,” sometimes it needs to go in “time out” for a while. After we’ve both cooled off a little bit, I can think more clearly and figure out the problem. Often it’s that I’ve made a decision I’m not happy with, or worked myself into some kind of creative corner. So typically I will have to go back one or two steps and take a different route. I am so glad you turned this into a blog post. The examples make it even more relatable. And oh man, I have been there in the tears over something that did not turn out at all. So glad you took a break and came back to City Lights. Thanks, Yvonne! 😀 I won’t admit how many quilts I’ve cried over, but City Lights was probably the worst because I KNEW it’d be hanging at QuiltCon (since all the QoM automatically get in) and I was so ashamed to have my name associated with it. There’s still one particularly puffy area that I’m really unhappy with and not sure how to deal with, and I might try to do some sort of surgery on it when I get it back from IQF. Thank you for sharing, this is helpful and I go through all of these issues. I am going to think about what else, and also why I keep some unfinished projects and don’t just toss them out/ donate them to new homes – what makes me think I will get back to them? I think there might be some sort of quilty culture pressure to finish things when really sometimes it’s better to just send it on and enjoy the new projects that are better suited to your current artistic journey. I have a few I really need to get rid of still, too. So I’m certainly not immune! I’ve suffered from everyone of your points–thank you for a wonderful post! I’m sorry you’ve had to deal with each of these! Hopefully this will help you not suffer through them anymore. 🙂 Thank you for the encouragement! Thank you so much for posting this. It’s so helpful for me. I haven’t really analyzed why I do this same thing before, but I related to so much of what you wrote here. Your quilts are beautiful. Thank you Natasha! I’m so glad it’s helpful. 🙂 I find myself falling into these traps still, but with practice I’ve gotten better about more quickly recognizing what’s going on. 🙂 And thank you so much for the kind words for my quilts! Oh, Anne, you nailed it. Each of these factors contributes to my huge pile of unfinished projects. But I still love something about each of them–some spark of what caused me to begin them in the first place, or where I want to end up with them–or I do just need to be brave and try that thing that is daunting to me about the next step. You’re right about getting bored with repetitive blocks, and patterns designed by other people; Mary Lou Weidman expresses this really well in the introduction to her books, also. Your suggestion to work on some of these projects for 15 minutes even when I’m not crazy in love is an excellent one, and I thank you for it. Being able to identify the spark that caused you to begin them in the first place is fantastic! I totally lose track of that sometimes and it makes it such a slog to get through. The 15 minutes thing is something I use for all sorts of tasks in my life and it’s really incredible how much you can get done with those little stolen moments. I’m going to check out Mary Lou Weidman’s book, thank you for the rec! <3 I'm so glad it was helpful! You are definitely not an odd duck, every artist and designer I've talked to runs into this stuff. It's just a matter of not letting it define you or your work and finding out ways past the challenges. As for the embroidery, are you not enjoying it because the process is just not fun, or are you not enjoying it because you’re learning something new and learning can be hard? If you don’t enjoy the process, then by all means stop! Time’s a precious resource, and there’s no reason wasting it on something you’re not enjoying. 🙂 If it’s because it’s hard, then it’s a matter of deciding if you want to spend your time learning it or would rather use your time learning/doing something else. Do you keep a design journal? When I start getting overwhelmed by all the ideas, I find jotting down a few notes and a sketch gives me my brain space back and lets me focus again. Then when I want to work on something new, I flip through all the sketches and see if they still interest me, and I can choose from there. Oh, more great ideas. I never really understood why people have a quilting journal. That would help a lot. Looking forward to your next blog post about this. Thanks so much. By the way, thanks for posting on this. I’m going to have to bookmark this for future reference. Need all the help I can find to get unstuck. And I’m glad you finished your Phoenix quilt. That is so cool. Maybe someday I’ll consider trying something like that. I have never done the curved seam blocks yet, but did a lot of garment sewing when I was younger, so shouldn’t be too hard. Thank you! I hadn’t even considered that, but it’s true. When I look at my work tasks, it’s the same set of stuff slowing me down there, too. Maybe I should apply some of these ideas to that, too! Nice post! I am interested in something until I figure it out, then it’s just mechanical work which is not so interesting. I agree with your tips for getting it done anyway. I totally hear you there. I’m definitely a “problem solver” type and once the problem feels solved, I lose interest. It keeps me pushing the boundaries on skills and techniques, but also means I tend to move on to other things pretty quickly. Having read all the other comments, shall we form the “Sisterhood of the Unfinished”? I must say I second the “boredom” and “deadline” points of view. When I saw this on FB, I was wondering how I could bookmark it, and now I have this post! So well thought through, and so true! Glad to be of service! Haha There’s another long post I have from a comment I left on instagram, apparently I like to leave long comments. Who knew. Very well thought out and I see myself in several of them. The one I would add is “Squirrel!” or chasing shiny objects. I’ll be working away well on something and another project comes along and grabs my attention and the next thing I know its been months or years and I still haven’t gotten back to the original project. I want to go back at look at the UFO list to see what other reasons there are. I’d love to hear what other reasons you find in your WIP pile! Ohhh the logistics thing is something that totally gets me. Thread color and which foot is on the machine makes a huge difference as to what I’ll work on. Kinda lazy, but with so many things to work on, might as well prioritize by convenience!